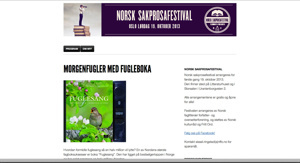 In one hour time I will be speaking on the Norwegian non-fictional book-festival about my tremendous success-book "Birdsong". It has until now sold in more than 1/2 million copies in 3 nordic countries together and is furthermore translated into 9 languages. 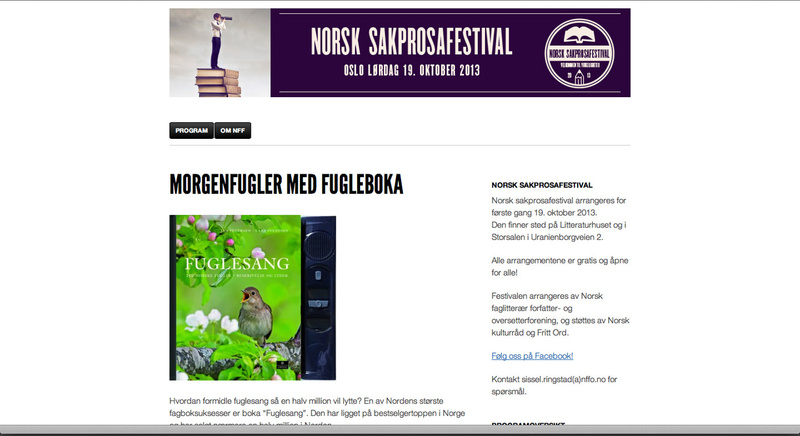 In Norway they counter that many new members to the birdwatching community has come via the book.